I’m sure most of you are fully aware of the Korean craze that’s been sweeping across the country (more like the world actually). Well, when it comes to beauty and makeup, it’s no different. 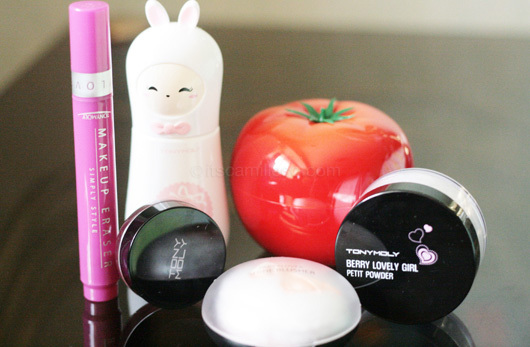 Korean make-up brands have been landing in our shores left and right, and here comes another one named Tony Moly. “Tony” is an English word that means stylish and “Moly” means to box something. The name is perfect for the brand. They’ve got the cutest packaging! Lookey! Look at the bunny girl and tomato! Who would’ve thought they’re beauty products? Curious what they are? Read on! Tomatox (how fitting) Magic White Massage Pack. From what I hear, it’s one of Tony Moly’s bestsellers. 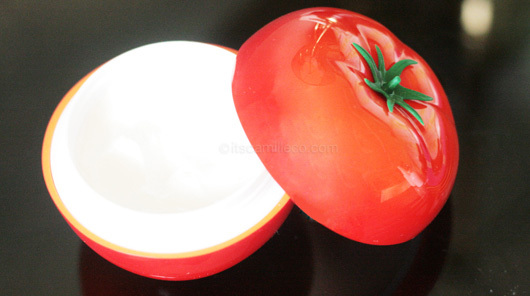 The tomato solution delivers instant brightening and clarifies the skin. When I first applied it on my face, my skin immediately felt hydrated. I really love it! Pocket Bunny Sleek Mist. It’s hands down the CUTEST mist I’ve ever seen. And I love that it’s really light and handy too! Perfect if you need to hydrate your face and keep fresh all throughout the day! Berry Berry Magic Lip Tint. To be honest, I don’t really use lip balms a lot so this product isn’t for me. But if you do, you have to know that this lip balm is naturally tinted and it has Vitamin E to provide moisture and protect from outer irritations. Party Lover Shine Blusher in Love Orange. I love love love the little shimmer in this. It instantly highlights my cheeks! Want to see how it looks? I used it here. Just a little tip for people like me who only recently learned how to apply make-up and is still continuously challenged by it, use a brush instead of the puff included. This way you have greater control and avoid looking like a huge ball of orange cheeks. 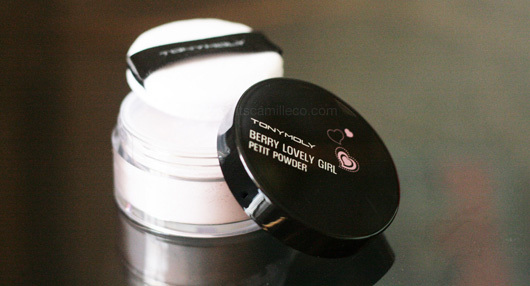 Berry Lovely Girl Petit Powder. 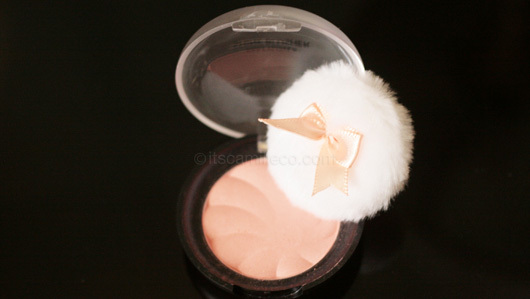 This is a sebum-control loose powder. I’ve only used it a couple of times and I’ve noticed it works better with BB creams than with normal foundations. The effect lasts a good couple of hours. :) It’s already part of my everyday makeup kit. Simple Style Makeup Eraser. Again, this is a product for those lacking in makeup skills like me. Trial and error, scratch that, make it COUNTLESS ERRORS have always been part of my makeup routine. Try and try until you succeed has become my makeup motto. This handy eraser corrects all the little mistakes we make along the way to success. Applied your eyeliner too thick? Too long? The Simple Style Makeup Eraser magically erases them! Tony Moly is available at SM Fairview, SM North Dept. Store, SM Megamall Dept. Store, SM Makati Dept. Store, SM Davao Dept. Store, SM North Edsa and SM Manila. Don’t forget to follow them on Twitter and Facebook too.